Taking a look back over the year, ProClinical reviews the most significant drug and device approvals by the US Food & Drug Association (FDA) in 2017. Giving a healthy 41 products the seal of approval, the FDA has commissioned a variety of novel therapies and innovative devices that are sure to have a big impact within the industry. There has been a real focus this year on developing better treatments for patients with rare disease such as amyotrophic lateral sclerosis (ALS), and allowing them better access to these medicines to save and improve their lives. Similarly, the life science industry’s ongoing effort to tackle cancer, one of the world’s deadliest diseases, has progressed significantly this year with the approval of the first ever chimeric antigen receptor T-cell (CAR-T) therapy. This marks the start of a completely new and innovative way to treat cancer (as well as other life-threatening diseases in the future) by harnessing the natural capabilities of the immune system. Global leader in-vitro diagnostics, Roche, gained FDA approval in October for a test that screens blood donations for the Zika virus. This is in response to the global crisis following the recent Zika pandemic which began around 2013 and remains an issue in certain areas of the world. Although the virus is benign in 80% of cases, complications can lead to serious birth defects if pregnant mothers were infected, and in rare cases, a deadly neurological condition called Guillain-Barré syndrome. The approval of the first commercially-available screening test for the Zika virus is an important breakthrough in the protection of blood supply and for helping to control the outbreak of this infectious disease. The first device of our list, the Seven Tesla (S7), was also approved in October. The magnetic resonance imaging (MRI) device was developed by Seimens Healthineers, the technology giant’s medical device sector. This innovative technology has more than double the strength of magnetic waves which will allow healthcare professionals to capture incredibly detailed images of the brain. The device will go a long way in helping us to understand the effect of disease on the brain’s metabolism, and is a likely breakthrough in the detection and diagnosis of various neurological and musculoskeletal diseases such as Alzheimer’s disease and multiple sclerosis (MS). Causing a media storm in late November, the world’s first venture into ‘digital adherence’ was marked with the approval of Ostsuka’s trackable pill, Abilify MyCite. The ingestible sensor – no bigger than a grain of sand – works as a tracking system for patients being treated for mental illnesses such as schizophrenia, bipolar disorder and depression. The sensor will send information to a wearable MyCite Patch for them to read on a smartphone, which can also be shared with caregivers and doctors through a web-based portal. This will allow healthcare providers to view a summary of patients’ medication patterns and work with them to create a more effective treatment plan. In early May, the FDA approved Mitsubishi Tanabe Pharma America’s drug to treat amyotrophic lateral sclerosis (ALS), a devastating neurodegenerative disease that causes rapid loss of motor function in patients. The Japanese discovery marks a milestone in ALS research as the rare disease has no known cure and its progression is particularly difficult to halt or slow down. Although not a cure for the underlying mechanism of ALS, Radicava is an in-vitro drug that has shown to slow down a patient’s loss of function. This is a small yet significant victory for both ALS patients and researchers as the drug could help them to retain their ability to carry out crucial everyday tasks like eating, talking and even breathing. Italian pharmaceutical company, Newron, developed add-on drug Xadago for patients with Parkinson’s disease, a progressive neurological disorder. The drug is to be used on patients that are not responding well to Levodopa, the primary drug for treating Parkinson’s, which is known as ‘off’ time. Approved by the FDA in March, Xadago has been shown to significantly improve motor function in patients experiencing ‘off’ time and helps to prolong episodes of ‘on’ time, in which the patient enjoys less uncontrollable involuntary movement and better overall motor function. Abbott Laboratories’ innovative FreeStyle Libre Flash was the first continuous glucose monitoring system to be approved by the FDA. Gaining the seal of approval in September, the system is an important step forward in improving how people with diabetes manage the disease. The most attractive feature of the glucose monitor is the reduced need for a blood sample from the fingertip, which is often painful. Instead, a small sensor wire is inserted underneath the skin which continuously monitors the patient’s glucose level, and can be worn for up to 10 days. The system will encourage better management of the disease which is crucial to avoid serious complications of diabetes such as heart disease, blindness, kidney failure and stroke. In March, the FDA approved a new drug to treat multiple sclerosis (MS), a degenerative autoimmune disease that affects the central nervous system. This new MS therapy was developed by Roche’s subsidiary Genentech and targets patients with relapsing forms of the disease, as well as being the first approved treatment for primary progressive MS. Ocrevus was shown to reduce relapse rates and slowed the worsening of physical symptoms, offering many patients living with MS the chance to improve their quality of life. In 2017, approximately 252,710 women were diagnosed with breast cancer in the USA alone, making it the most common cancer in the country. In September, Verzenio, a drug developed by leading pharma Eli Lilly that can be used on approximately 72% of breast cancer patients gained FDA approval. The drug is a targeted treatment that blocks certain molecules that are partly responsible for causing cancer cell growth. Verzenio works on many advanced forms of the disease and can be used as a stand-alone therapy or on patients who are not responding to other treatments, such as chemotherapy, endocrine therapy and other breast cancer drugs. A truly exciting FDA approval in 2017 was Amgen and Allergan's Mvasi, the first biosimilar for the treatment of cancer. The therapy, which is a biosimilar of the highly successful cancer drug Avastin, can be used on a several types of the disease including lung, kidney, brain and cervical cancers. The approval of more biosimilar cancer drugs will increase competition in the pharmaceutical market, which is a significant turning point for patients who are in need of affordable and more accessible life-saving treatments. Perhaps the most significant FDA approval of 2017 was Kymriah, the very first gene therapy/CAR-T treatment available for cancer patients in the USA. This historic moment in August marked an important step forward in using innovative treatments such as cell therapy, gene therapy and immunotherapy to treat supposedly ‘un-treatable’ cancers. Kymriah was developed by Novartis for children and young adults with B-cell acute lymphoblastic leukemia (ALL) and showed an 83% remission rate in patients that had relapsed or had few treatment options remaining. The USA’s second gene CAR-T therapy to be licenced for cancer, Yescarta, was approved by the FDA in October and will be used to treat some types of large B-cell lymphoma in adults. 2017 has been a strong year for FDA approvals, with many novel drugs and therapies for life-threatening cancers and various rare disease being made available for patients in the USA. Which do you think was the most significant FDA approval of the year? Do you have any predictions for 2018? Let us know in the comments! Have you ever wanted to work for a life science company that brings innovative and life-saving treatments to patients around the world? 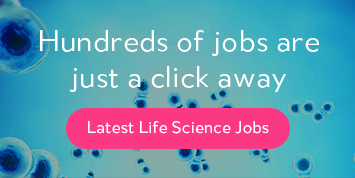 ProClinical works with several leading pharmas and pioneering biotechs that have many opportunities for talented life science professionals to join them. Check out current jobs, or simply upload your CV and wait to be contacted with an ideal opportunity!